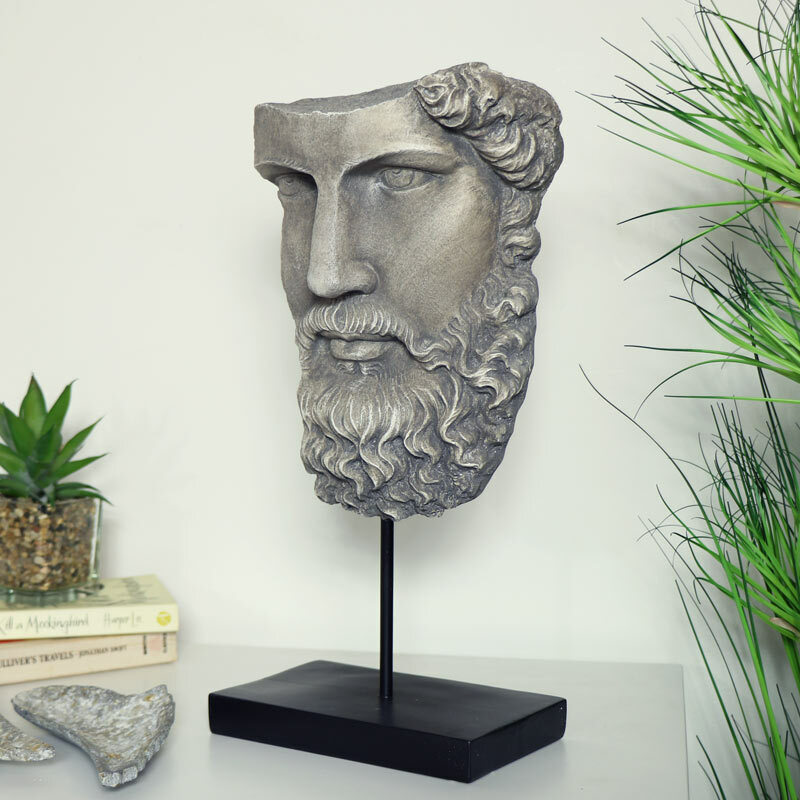 Large decorative scultured bust head of Greek philosopher Socrates. Perfect for vintage home decor display. Detailed carved features on the face make this stand out with realistic looking stone effect in an aged, distressed finish. A great gift idea for anyone that loves ancient history. A great statement piece for gracing your living room. 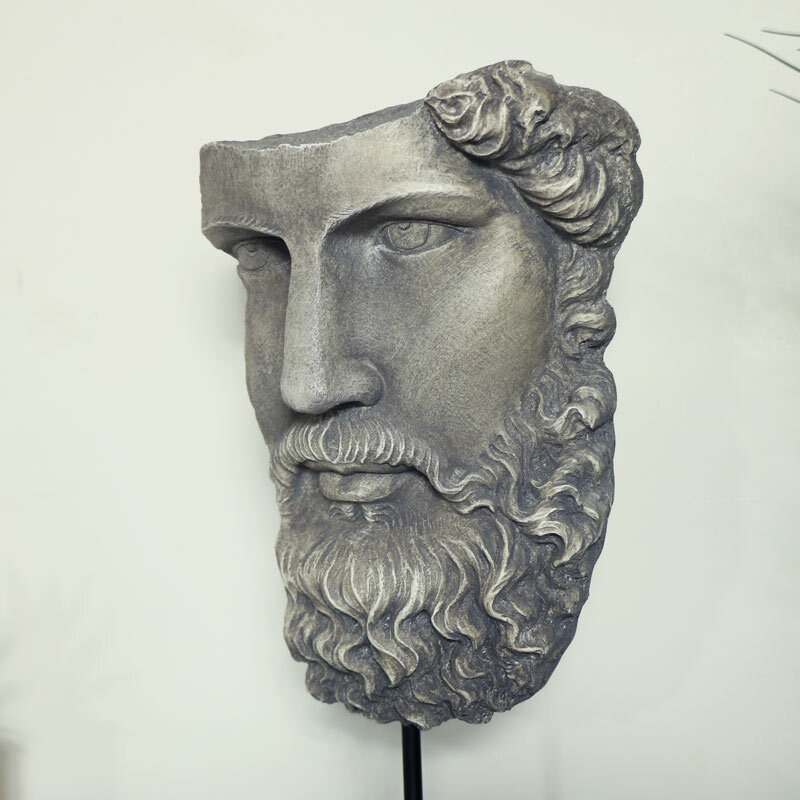 Large decorative scultured bust head of Greek philosopher Socrates. Perfect for vintage home decor display. 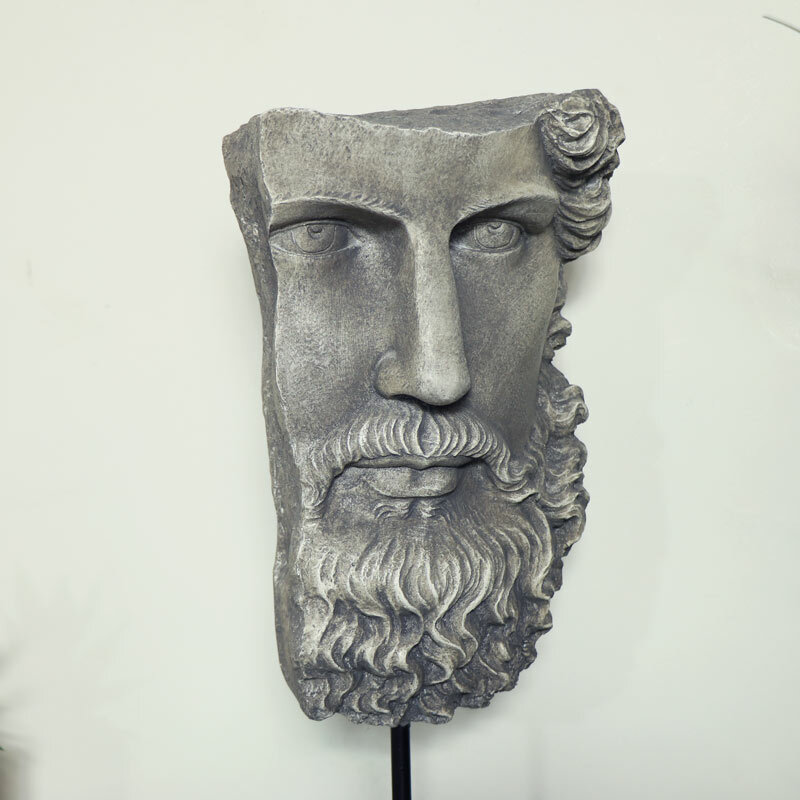 Detailed carved features on the face make this stand out with realistic looking stone effect in an aged, distressed finish. A great gift idea for anyone that loves ancient history. A great statement piece for gracing your living room. Cast resin sculture on black metal stand.